As a long time hairdresser, I know what it’s like to stand for a living. Standing for a living causes a lot of body fatigue especially in your feet, knees, back and legs that can cause unsightly spider veins and varicose veins. I’ve found, through experience that support hose, good shoes and an anti-fatigue mat help a lot! Support hose these days don’t look like your grandmothers opaque stockings. 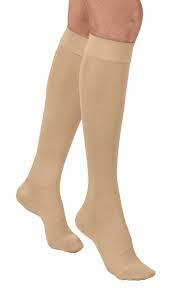 Wearing support stockings can help improve circulation and energize your legs. Most importantly, hairdressers or anyone else that stand for a living should always work with a good supportive shoe and an anti fatigue mat for posture and to help prevent back, knee and foot pain. 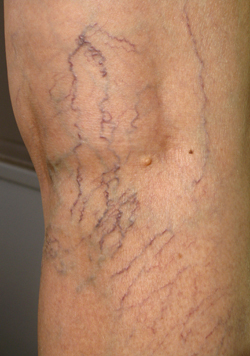 If you take the precautions early on in your career you can help prevent spider veins and varicose veins and improve your energy.